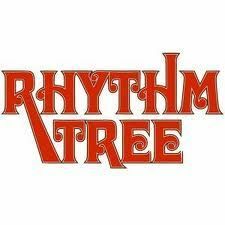 The organisers of the Rhythmtree Festival have today announced the almost complete main stage line-up for their 2013 world music festival held at Three Gates Farm on the Isle of Wight. There is no doubt that the highlight of the Sunday stage will be a three hour celebration of the music of the legendary Fela Kuti from two excellent afrobeat bands. The highly feted Dele Sosimi brings his legendary 'Afrobeat Vibration' set to the Rhythmtree Festival. Joining them on Sunday will be the stunning Dutch band 'Jungle by Night' with their own high powered take on afro dance. Saturday will be headlined by multi talented Cameroonian singer, guitarist and harmonica player Muntu Valdo. Also appearing on Saturday evening will be the charismatic Afla Sackey's Afrik Bawantu and the awesomely talented London band Soothsayers fronted by Idris Rahmon and Robin Hopcraft. Main stage line-up can be seen on the website now and expect some very special additions in the next few weeks. A full DJ and Didge Cafe line-up will be announced soon.